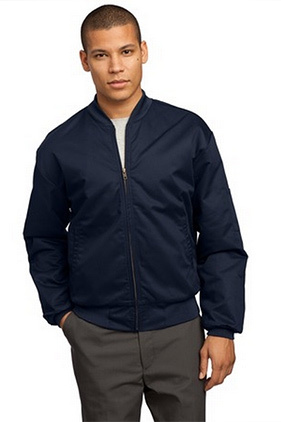 65% polyester/35% combed cotton twill 7.25 ounce jacket. Full zip front. Two lower inset slash pockets and utility pocket on sleeve. Rib knit trim. Zip-in/zip-out liner available to buy in black (LN30).